Laptop Thoughts: MacBook Air, Now With More Speed! MacBook Air, Now With More Speed! "The 1.8GHz Core i7 is offered as an upgrade to both the 11 and 13-inch MacBook Air. With much higher max turbo speeds and another megabyte of L3 cache, it's clear this is going to be a big upgrade over the standard 11-inch Air. Last week we got our hands on one of these upgraded 11-inch models to find out just how much faster it is." 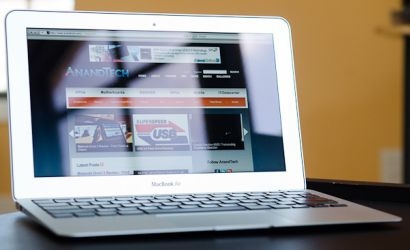 The MacBook Air is a well designed notebook and faster speeds are always appreciated. What impresses me is that the 11" model gets a Core i7 model and how there could be a perceived need for someone using a notebook that small needing that much number-crunching mojo. Still, no real compromises seem to have been made, so the more powerful, the better! If you need a slick, high end cake slicer, the updated MacBook Air definitely seems like one of the top choices around.